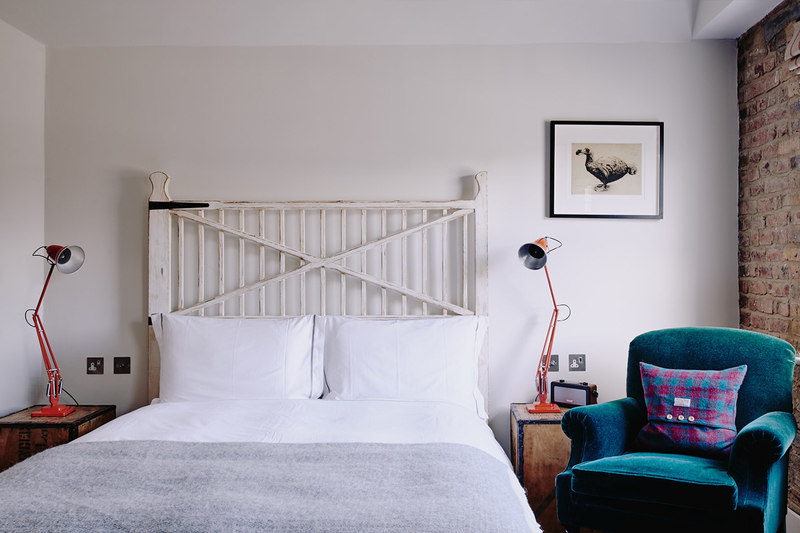 Last fall I discovered a new “eccentric” boutique hotel in Pimlico which was also described as “rustic-luxe.” I was attracted by its name, The Artist Residence, and its location near Victoria Station. With just two nights on my own, I decided to book The Loft which was on the top floor and had no door separating the bathroom from the bedroom. The hotel had literally just opened after an extensive conversion. The decor featured vintage and rustic furnishings. Besides the rustic headboard, the lamps were all industrial-style metal, the wardrobe (clothes closet) was a metal cabinet with a new bronzed finish and there was a chandelier of antlers! The bathroom was elegant with gleaming, state-of-the-art fittings. The room felt fresh and clean yet cozy with oodles of character. Needless to say, I enjoyed my stay. 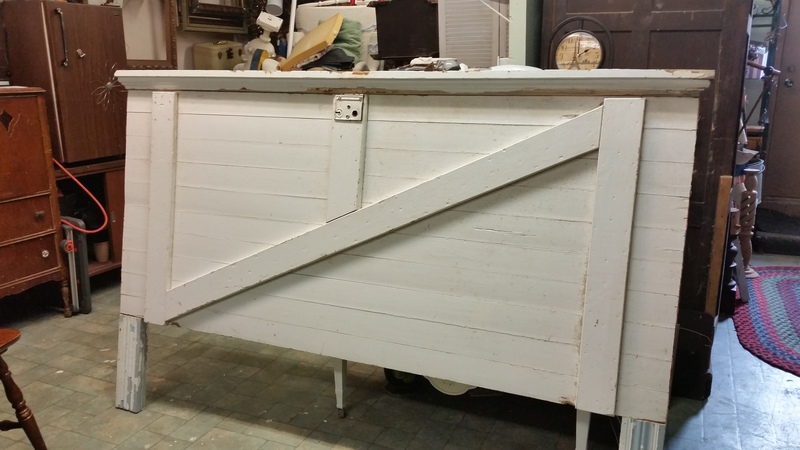 I’m telling you all this because when I spotted the barn-door-turned-headboard at the Vintage Marketplace, all those fond memories came flooding back. The result of mixing up old and new, rough and smooth, traditional and industrial can be fabulous. And that is the real allure of visiting our many local occasional sales. The possibilities for decorating are endless and ever-changing. Why not let talented designers inspire us anew every month? This entry was posted in Cool Find, Cool Idea, Elements of Style, Inspiration, Travel. Bookmark the permalink. What a fun post of unique finds! I’m headed to London in May for a Tea Tour of England! I hope to see you again in Hutchinson for Afternoon Tea at Heirlooms again soon!